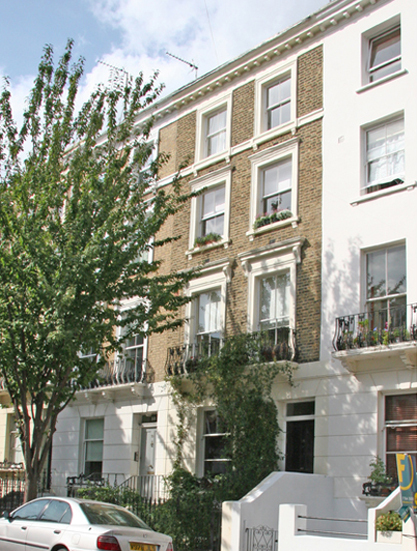 The Harris's had been living in Arundel Square Barnsbury and by 1915 had moved the short distance into Ellington Street and occupied a flat at number 48 (see picture bottom right). 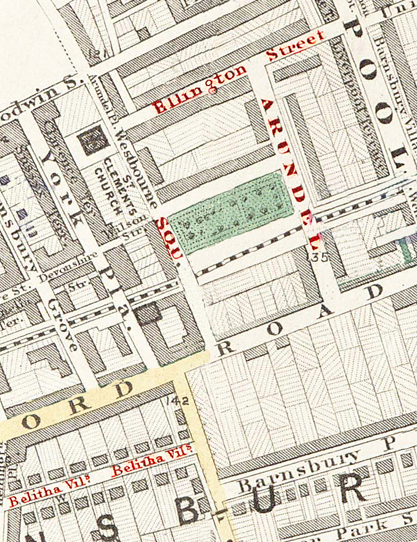 The map shows the location of both their houses in Arundel Square and Ellington Street. Also shown is Belitha Villas where Alfred's father Lambert William Harris had lived until about 1912. On the map the road top right corner is Liverpool Road and the road bottom left is of Offord road. The Harris's second child Herbert Alfred was born 10th of May 1915. The birth certificate above shows his father Alfred's occupation a french polisher, the same trade as his father Lambert.